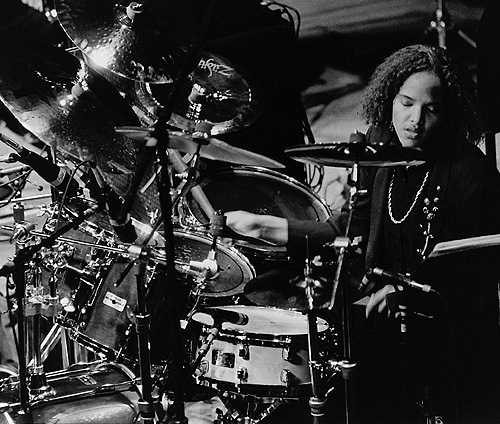 GRAMMY® award-winning drummer, composer and bandleader Terri Lyne Carrington was born in 1965 in Medford, Massachusetts. After an extensive touring career of over 20 years with luminaries like Herbie Hancock, Wayne Shorter, Al Jarreau, Stan Getz, David Sanborn, Joe Sample, Cassandra Wilson, Clark Terry, Dianne Reeves and more, she returned to her hometown where she was appointed professor at her alma mater, Berklee College of Music. Terri Lyne also received an honorary doctorate from Berklee College of Music in 2003. After studying under full scholarship at Berklee, with the encouragement of her mentor, Jack DeJohnette, Carrington moved to New York in 1983. For 5 years she was a much in-demand musician, working with James Moody, Lester Bowie, Pharoah Sanders, and others. 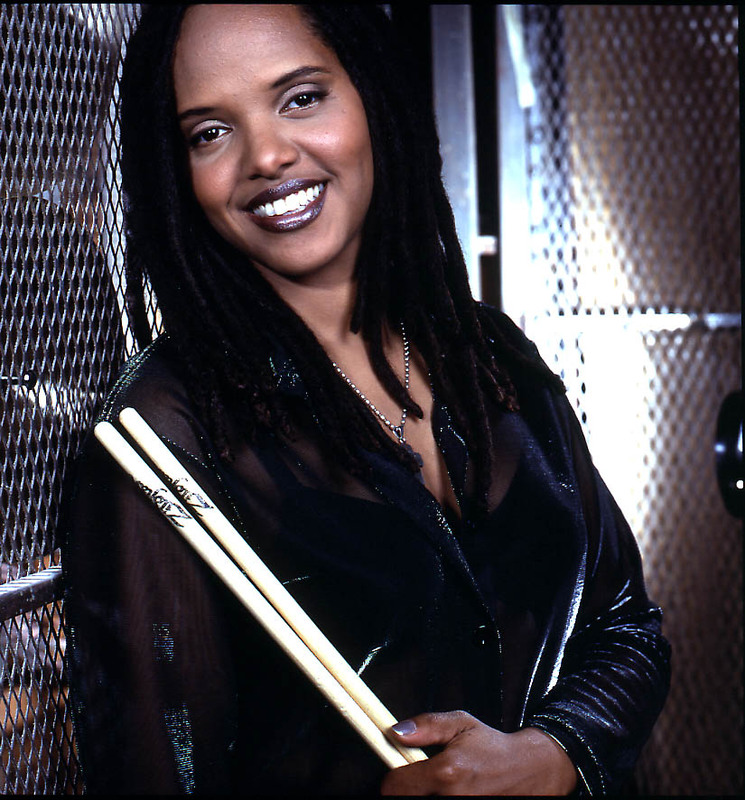 In the late ‘80s she relocated to Los Angeles, where she gained recognition on late night TV as the house drummer for the Arsenio Hall Show, then again in the late ‘90s as the drummer on the Quincy Jones late night TV show, VIBE, hosted by Sinbad. In 1989, Carrington released a GRAMMY®-nominated debut CD on Verve entitled Real Life Story, which featured Carlos Santana, Grover Washington Jr., Wayne Shorter, Patrice Rushen, Gerald Albright, John Scofield, Greg Osby, and Hiram Bullock. Other solo CDs include 2002’s Jazz is a Spirit, which features Herbie Hancock, Gary Thomas, Wallace Roney, Terence Blanchard, Kevin Eubanks, and Bob Hurst, and 2004’s Structure, a cooperative group which features Adam Rogers, Jimmy Haslip and Greg Osby. Both CDs were released on the Europe-based ACT Music label and enjoyed considerable media attention and critical acclaim in the European and Japanese markets. Carrington’s production and songwriting collaborations with artists such as Gino Vannelli, Peabo Bryson, Dianne Reeves, Siedah Garrett, Marilyn Scott have produced notable works as well, including her production of the Dianne Reeves GRAMMY®-nominated CD, That Day, as well as Dianne Reeves GRAMMY® Award-winning CD, Beautiful Life, in 2014. Carrington has performed on many recordings throughout the ‘80s and ‘90s thru today. Notable examples of her work include Herbie Hancock’s GRAMMY® Award-winning CD Gershwin’s World, where she played alongside Joni Mitchell and Stevie Wonder. She has toured in many of Hancock’s musical configurations (from electric to acoustic) and is featured on his Future2Future DVD. After a hiatus from the U.S. recording scene as a solo recording artist, Carrington returned in 2008 with More To Say… (Real Life Story: NextGen). Joining her was an impressive all-star cast of jazz and contemporary jazz instrumentalists, including George Duke, Everette Harp, Kirk Whalum, Jimmy Haslip, Greg Phillinganes, Gregoire Maret, Christian McBride, Danilo Perez, Patrice Rushen, Robert Irving III (who also serves as co-producer), Chuck Loeb, Dwight Sills, and legendary vocalists Les McCann and Nancy Wilson. Carrington released The Mosaic Project in 2011, her fifth recording overall and first on Concord Jazz. The critically acclaimed CD, which won a GRAMMY® Award for Best Jazz Vocal Album, gathered a myriad of voices and crystallized them into a multi-faceted whole that far outweighed the sum of its parts. She produced the 14-song set which included some of the most prominent female jazz artists of the last few decades: Esperanza Spalding, Dianne Reeves, Dee Dee Bridgewater, Sheila E., Nona Hendryx, Cassandra Wilson, Geri Allen and several others. Carrington said the emergence of so many great female jazz instrumentalists over the last couple of decades is what made an album like The Mosaic Project possible. In 2013, Carrington released Money Jungle: Provocative in Blue, her much anticipated homage to Duke Ellington, Charles Mingus and Max Roach, to coincide with the 50th anniversary of the release of their iconic 1963 Money Jungle album. The recording featured Gerald Clayton and Christian McBride, with guests Clark Terry, Lizz Wright, Herbie Hancock and others. Carrington made history when she became the first woman to win a GRAMMY® Award for Best Jazz Instrumental Album. 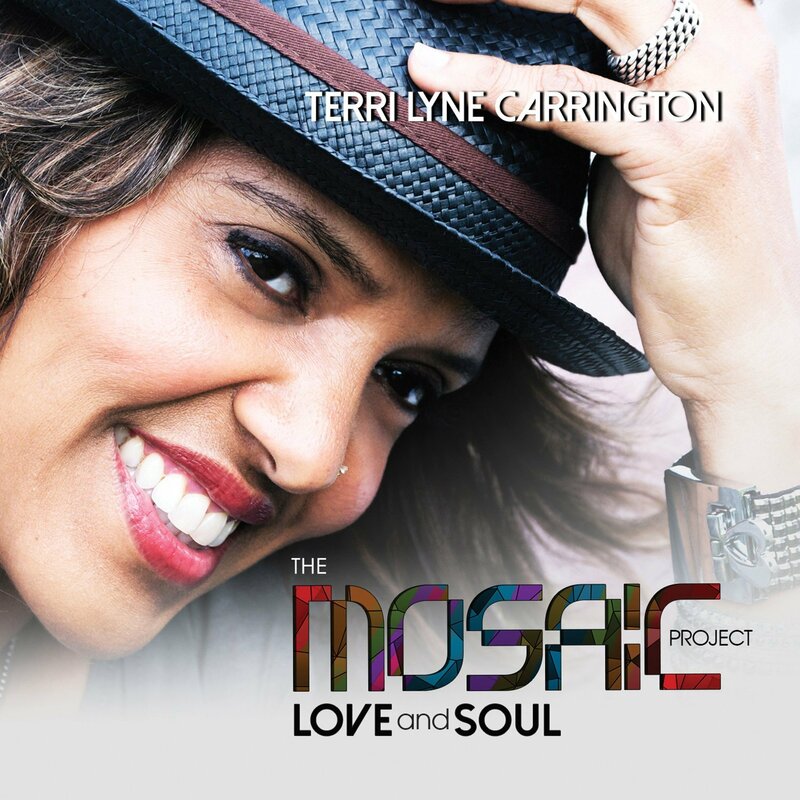 On August 7, 2015, Carrington released The Mosaic Project: LOVE and SOUL. Like its predecessor, the album presents Carrington leading a rotating cast of superb female instrumentalists and vocalists that includes Oleta Adams, Natalie Cole, Paula Cole, Lalah Hathaway, Chaka Khan, Chanté Moore, Valerie Simpson, Nancy Wilson, Jaguar Wright and Lizz Wright, as well as saxophonist Tia Fuller, trumpeter Ingrid Jensen; bassists Meshell Ndegoecello and Linda Oh; and keyboardists Geri Allen, Patrice Rushen and Rachel Z. On The Mosaic Project: LOVE and SOUL, Carrington juxtaposes her salute to female artists by paying homage to various male artists who have either influenced her professionally and/or informed her musicality, such as Nick Ashford, George Duke, Duke Ellington, Frank Sinatra, Luther Vandross and Bill Withers. “Whenever I do something that celebrates women, I never want it to feel like it’s something that excludes men,” she explains. “On this record, I consciously wanted to celebrate the various relationships women have with men either through original songs of mine or cover songs by male composers and song writers.” The male presence and perspective on The Mosaic Project: LOVE and SOUL is even more realized by Billy Dee Williams, who contributes insightful spoken-word interludes through the disc. 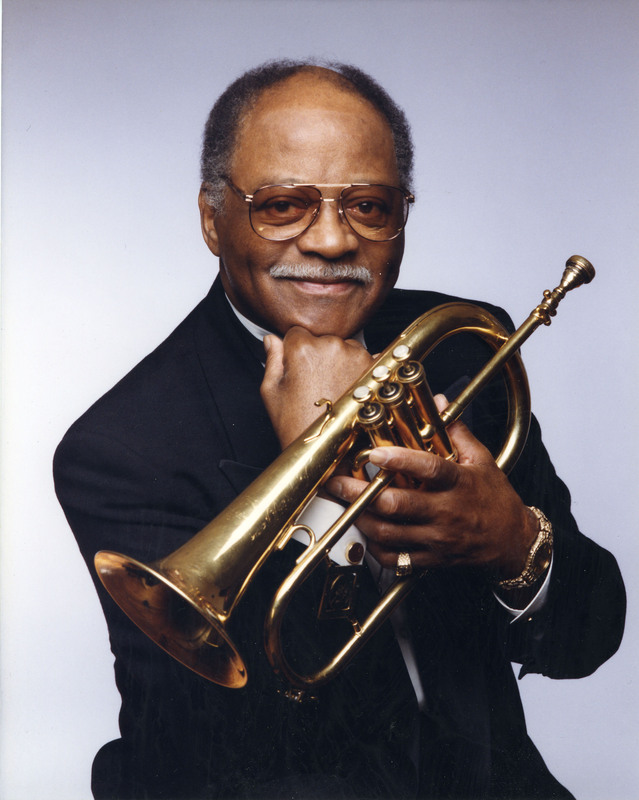 The Oklahoma Jazz HOF Presents The Clark Terry Tribute Concert Sunday March 22nd from 5-7 pm! The Oklahoma Jazz Hall of Fame welcomes the Modern Oklahoma Jazz Orchestra to the Jazz Depot stage in a tribute to the late jazz legend Clark Terry. The Modern Oklahoma Jazz Orchestra—alongside various regional artists—pays tribute to Clark Terry’s career in jazz that spanned more than seventy years. Terry was recognized as a world-class trumpeter, flugelhornist, educator, composer, writer, trumpet/flugelhorn designer, teacher, and NEA Jazz Master. He performed for eight United States’ Presidents, and was a Jazz Ambassador for State Department tours in the Middle East and Africa. More than fifty jazz festivals have featured him at sea and on land in all seven continents, many of which were named in his honor. 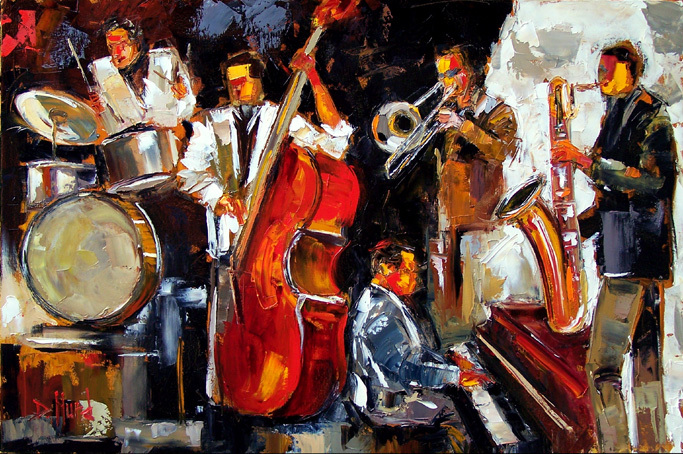 To enjoy the jazz, call at (918) 928-JAZZ or visit www.JazzHallTickets.com. Members and Seniors enjoy discounted ticket prices at $10.00 each. General Admission tickets are only $15.00, or $20.00 for Reserved Table Seating. High school and middle school students admitted for only $5.00. The event is a part of the Jazz Hall’s 2015 Spring Concert Series. 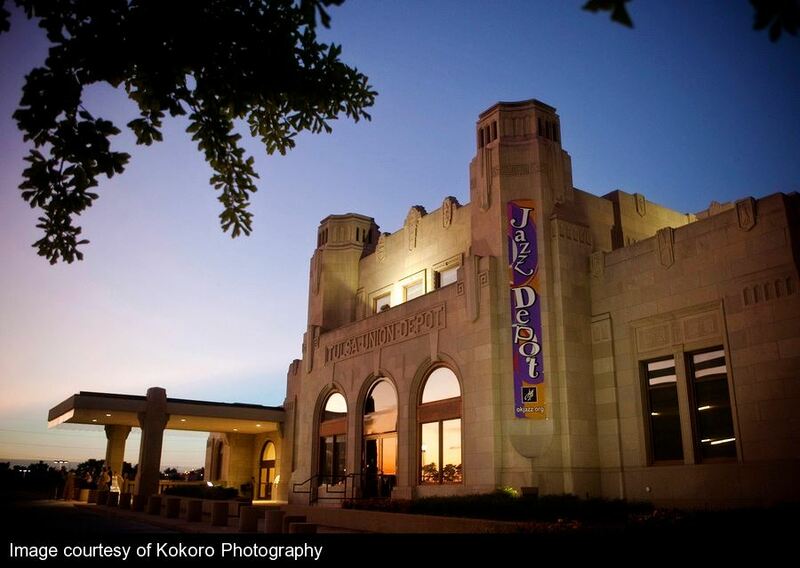 The Oklahoma Jazz Hall of Fame is a 501(c)(3) non-profit cultural and educational organization, with a mission to inspire creativity and improve the quality of life for all Oklahomans through the preservation, education, and performance of jazz, our uniquely American art form.